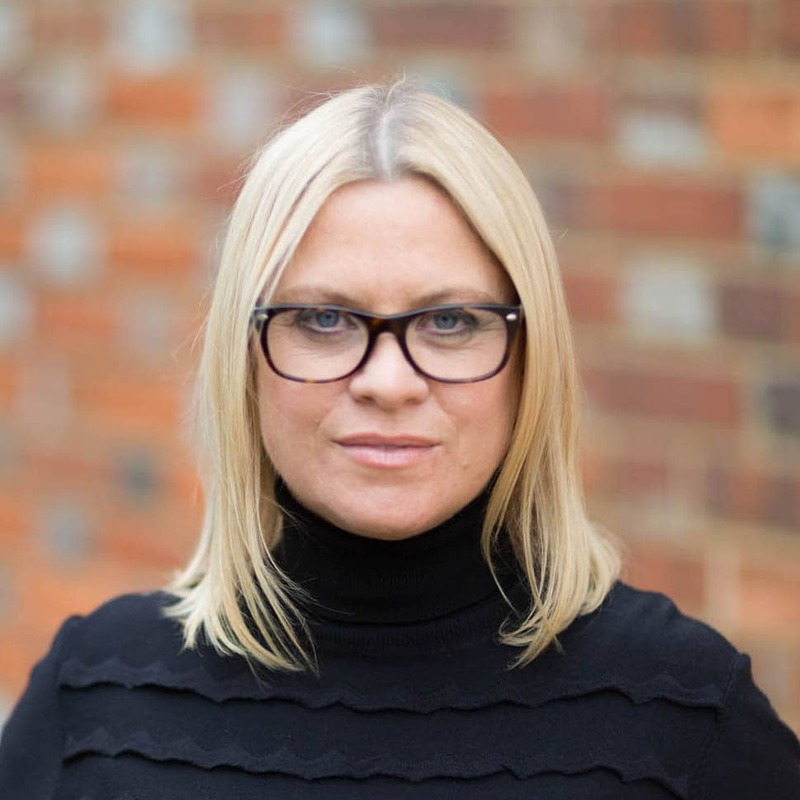 See below a great post from Julie Jenson Bennett, Head of Innovation and Design at 1HQ, from her blog Slice and Dice. Before you show me the plagiarism card, I should point out that I have her permission and blessing. I’ve also included the link to her blog at the end, I suggest subscribing to it. As she states, this was directed at product development partnerships. 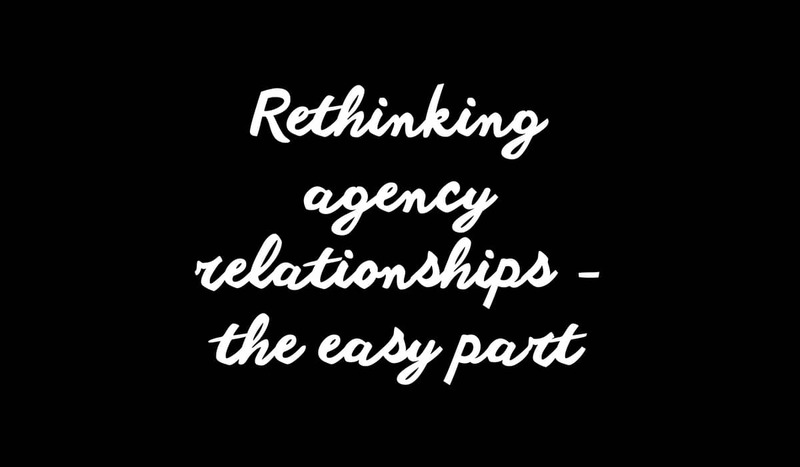 However I do think a lot of this rings true for most agency relationships. *This advice is tailored toward product development and innovation initiatives. Marketing and advertising relationships may be different, although I expect basic human dignity is a universal quality of good working partnerships. I’ve only seen this work for one client, and that was a rather unique parallel design process between an in-house team and an external agency. Splitting your budget two or three ways may seem like a canny way to get more for your money and risk-manage that mystical black box called creativity, but you’re probably trying to solve the wrong problem. Almost certainly, you already have any “idea” that an external agency can bring you in this type of process already inside your organisation. In fact, you probably have hundreds that have been mothballed because you can’t figure out how to bring them to market effectively. Getting 10 or 30 or 100 more ideas isn’t going to solve the problem. Spend the money on getting the right agency more embedded in your business — visiting the factories, spending time with the engineering team, wrestling with the social and cultural trends that affect your business, and all the previous work you’ve done. Designers are trained to resolve the tensions between these spaces into commercial opportunities, but they can’t do that if you isolate them from the grubby bits. Another fallacy is that the competitive atmosphere will motivate the agency to deliver more to you for the glory of ‘winning’. I will walk over burning coals for some clients, but I can guarantee it’s not because they’ve treated me like a commodity. I have to thank to Colin Bay and Faith McCreary (both former colleagues at Intel) for introducing me to Peter Block and his Flawless Consulting series many moons ago. He emphasises the need for consultants to work from an authentic stance. But this applies to clients as well. There is a certain school of purchasing that teaches buyers to treat their vendors like dirt. Others prefer a more schizophrenic approach – keep ‘em off balance – by randomly switching between good cop and bad cop. This is about as effective in a professional relationship as it is when bossing around a waitress. If you can, try to give ballpark budget guidance while agencies are quoting for you. While projects are happening, say please and thank you. Be conscious of how much time, energy, enthusiasm and passion the team are channelling on your behalf. When things work out well, share the credit and help the agency use the work as a case study, even if it can’t be shared publicly. This post is just the hygiene stuff. It sounds obvious, but so rarely done. But there is also a whole layer of the experience that takes everybody much further out of their comfort zone. More on that later. I will of course follow this up with another post if there is one. Click here for Julie’s blog. Very timely given the kerfuffle over Brand for London….